Cooking high-quality wild game meals is more involved than simply throwing a piece of meat on the grill. Unless you have a prime cut like a backstrap or tenderloin, or you just enjoy eating dry, gamey meat, then it’s going to require a little more TLC to make a noteworthy meal. But let’s face it, not all the wild game meat in your freezer are prime cuts. There are many cuts that most people would designate as less desirable like deer rib meat, shanks, neck roasts, front quarters, etc. - so these often end up in the grind pile. 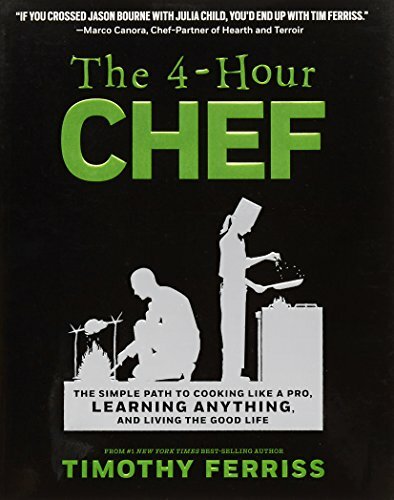 That is why our recipes and cooking style feature more of a Tim Ferris “4 Hour Chef’” approach - a book I’d recommend that you read if you wish to enhance your culinary expertise. The premise of the book is essentially that being a chef doesn’t need to be an exact science or overly complicated endeavor. It teaches the importance of developing the skills you need to be competent enough in a kitchen to whip up excellent meals without having to meticulously follow a step-by-step process or spend your entire afternoon at the grocery store hunting for ingredients. Cooking well should be a habit - and it’s not as complicated as you might think once you learn some skills, acquire some basic tools, and learn some basic rules of thumb. Like any desirable habit, it has to be sustainable, or it’s just not going to last. I remember the days of being intimidated by the meat and produce in my refrigerator. The anxiety would creep in when I’d began to wonder whether this would be another “good thing I’m not picky” type meal or something I’d be proud to share. This is what lead me to the realization that I would rather be a good cook all of the time, than a phenomenal cook on rare occasion. Most folks will tell you poor things about the quality of antelope meat, whitetail deer meat, duck, goose - I’ve even heard moose! It tastes like sage, it’s too gamey, it’s too lean… the list goes on. That is why you find so many wild game recipes that are chilis, stews, poppers, deep fried - which all essentially use wild game as an ingredient rather than the primary dish. There is nothing wrong with these types of recipes - and I am a big fan of most of them. However, they should not be a scapegoat for your poor culinary skills. Just when I think “I’ve tried everything and there’s just no way to make a good meal out of snow goose” - I come across an article written by someone who loves making snow goose and thinks its the highest quality meat. It made me realize that it's the indian that missed the shot - not the bow. I am not an advanced chef, or even an above average chef for that matter. I have not formally studied the culinary arts or experimented regularly with the most miniscule changes to a recipe. I rely on others who are more experienced culinary experts and chefs than I - who have spent the time pushing the limits, pioneering new wild game recipes from scratch, or building off of age old secret family recipes. Why reinvent the wheel? There are many resources that will show you how to cook wild game in delicious, simple ways. However, the most common issue for me is the time-intensive nature of following a tried and true recipe that was relentlessly modified to perfection through countless trials. Maybe I’m impatient, unable to follow step-by-step instructions, lacking ingredients/cooking tools/ingredients - or a combination. Whatever the case may be, nothing is more frustrating to me than trying to follow a recipe and having to reread a paragraph-long explanation as to how to cook something “just right” using a complex/labor intensive method. If you're anything like me, you struggle every week to find the time to plan meals, procure ingredients, and dedicate the hours required to follow everything exactly how it’s outlined step-by-step. Don’t get me wrong, there are special nights when we can commit hours to try a new recipe or cook a variety of dishes for guests. However, the recipes I share are not for these kinds of nights. They are for those who are familiar with this daily struggle, but want to make the best of the wild game meat that they worked so hard to earn. The intent of my cooking style is not to cook a one-of-a-kind meal or five-star dish - it’s to find simple ways to cook a delicious meal nightly using basic tools and everyday ingredients. Meat handling/packaging is THE most important factor for producing a good wild game dish! You’ve already lost if your meat has been subject to some form of poor preparation or handling before it even reaches the oven. Removing silverskin/tallow/tendons (unless part of the recipe), preventing freezer burn, and thawing slowly should be a part of your normal preparation process. Nothing will turn off a guest like a thick piece of tendon in the middle of their dinner! Have a well stocked refrigerator full of a wide variety of commonly used and interchangeable fruits, vegetables, spreads, spices, herbs, and sauces. You shouldn’t have to plan out all your meals for the week and spend hours tracking down every ingredient in the grocery store. Know how to substitute ingredients. It is NOT the end of the world if a recipe calls for grapeseed oil and all you have is olive oil. Know what ingredients can be interchangeable, left out of a recipe without being detrimental, or what can be added to suit your particular taste! Be able to prepare the entire meal in less than 15 minutes! No, this does not mean the entire meal will be ready to eat in 15 minutes. It means that if you cannot slice, dice, measure, stir, chop, mix, etc. - everything in 15 minutes to the point where you can throw it in the (fill in the blank with your favorite cooker), than it’s too complicated. The best meals are the simplest meals. Prepare one part of the meal and start to cook it and then move on to the side dishes while it slow cooks - finishing all the preparation in less than 15 minutes. When in doubt, slow cook! It’s hard to mess up a meal that’s being slow cooked! A recipe that calls for 375 degrees for 16 minutes and 34 seconds summons way too much anxiety for my taste. Is the neck roast your using the same size as theirs? Is it even the same cut? When you cook meat quickly, cook it to your desired rawness and satisfaction and make sure you are checking it regularly. Slow cooking takes most of the guessing game out. When in doubt, cook rare. Food that looks delicious is delicious. Presentation matters! This key is applicable to those cooking for others - whether that’s a spouse, kids, guests, your picky mother-in law or whomever. If it doesn’t look and smell appetizing, it’s just not going to taste good. Searing/browning, thinly slicing, or adding an appetizing glaze are all simple ways of making sure that your presentation is appetizing to a guest! If a recipe doesn’t fit on one page, it’s too complex. If you can’t skim it and understand it, it’s too complex. You should not have to study a recipe to cook a good meal on your average, everyday week night. Cooking is way more fun when you experiment a little! If you’re trying a recipe, take one or two pieces and throw a weird combination of spices on them. Try cooking in different oils, adding in unique vegetables, applying dressings, etc. The more fun you have, the better cook you’ll end up being at the end of the day. The majority of wild game animals are far leaner and less fatty than any store bought piece of beef or pork, but the qualities that make this meat more of a challenge to cook are the same qualities that make it so valuable. The fact of the matter is that you’re never going to get a deer steak to taste like beef. It’s organic, wild, lean and can be every bit as tasty as any restaurant quality dish - if you are qualified to cook it. I encourage you to embrace these meats for what they are - and with a little extra TLC, you may be surprised at how delicious they can be.